Disrupting a problematic gene in brain cells can reverse Huntington’s disease pathology and motor symptoms in a mouse model of the inherited neurological disorder, Emory scientists report. The researchers used CRISPR/Cas9 gene editing, delivered by a viral vector, to snip part of a gene producing toxic protein aggregates in the brains of 9-month old mice. Weeks later, where the vector was applied, aggregated proteins had almost disappeared. In addition, the motor abilities of the mice had improved, although not to the level of control mice. The results were published June 19, 2017 in Journal of Clinical Investigation. Encouraging Tweet from Scripps MD/author Eric Topol. 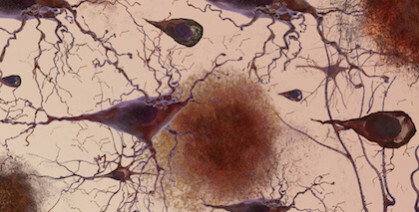 The findings open up an avenue for treating Huntington’s as well as other inherited neurodegenerative diseases, although more testing of safety and long-term effects is needed, says senior author Xiao-Jiang Li, MD, PhD, distinguished professor of human genetics at Emory University School of Medicine. Huntington’s disease is caused by a gene encoding a toxic protein (mutant huntingtin or mHTT) that causes brain cells to die. Symptoms commonly appear in mid-life and include uncontrolled movements, balance problems, mood swings and cognitive decline. 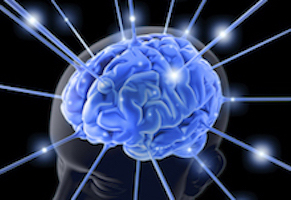 Optogenetics has taken neuroscience by storm in recent years because the technique allows scientists to study the brain conveniently in animals, activating or inhibiting selected groups of neurons at the flip of a switch.Â Most often, scientists use a fiber optic cable to deliver light into the brain. Researchers at Emory and Georgia Tech have developed tools that could allow neuroscientists to put aside the fiber optic cable, and use a glowing protein from coral as the light source instead. Biomedical engineering student Jack Tung and neurosurgeon/neuroscientist Robert Gross, MD, PhD have dubbed these tools â€œinhibitory luminopsinsâ€ because they inhibit neuronal activity both in response to light and to a chemical supplied from outside. A demonstration of the luminopsinsâ€™ capabilities was published September 24 in the journal Scientific Reports.Â The authors show that these tools enabled them to modulate neuronal firing, both in culture and in vivo, and modify the behavior of live animals. Tung and Gross are now using inhibitory luminopsins to study ways to halt or prevent seizure activity in animals.